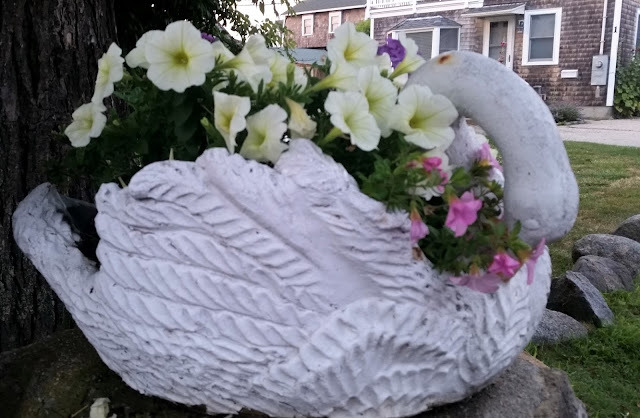 Imagine taking a walk around a neighborhood and finding a flower filled swan! Wouldn't that be a lovely thing to look at? 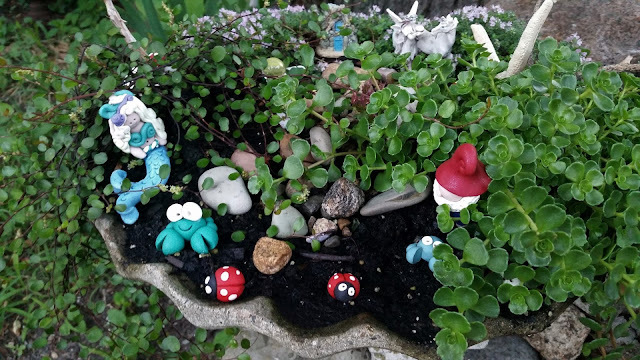 Or how about discovering a darling little fairy garden? Wouldn't you love to lean over and look at the tiniest of details it contained? And how about reading a sign that sends a message to your heart? 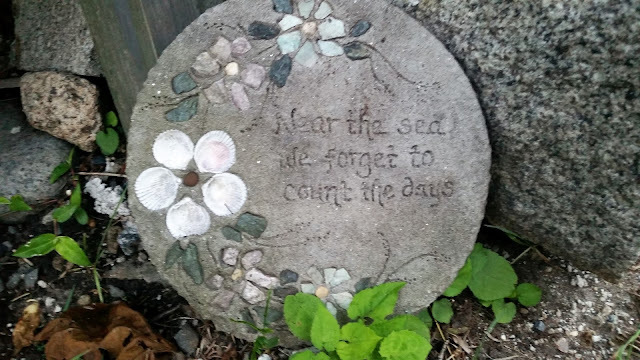 "Near the sea, we forget to count the days." We did all of the above while walking along a side street in Rockport, Massachusetts, while on vacation. Many thanks to the neighbor who put the swan, fairy garden, and plaque out for all to see and enjoy. DO YOU LEAVE LITTLE TOUCHES OF BEAUTY AROUND YOUR YARD FOR PEOPLE TO ENJOY? Oh, that fairy garden is darling, Susan. 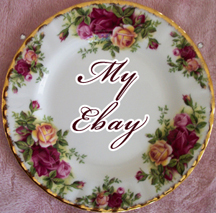 I went to JoAnn's today, and they have a new section of miniature items that were so cute. The swan with the flowers is lovely as well. It's these little things that make a house a home. It sounds like your walk in Rockport was very nice. Wanted to answer your question....Yes, I will be going to Georgia to see my new grandbaby. I'm very excited, and feel very blessed having another grandbaby to love. 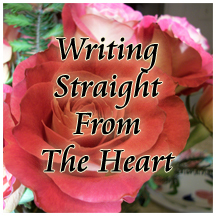 Thank you for your visits. They mean a lot to me, Susan. I live near the sea and that saying is so true. The swan with flowers is so unique and the fairy garden really must have pleased your granddaughter. Isn't it fun to travel? what charming discoveries on your vacation walk. the swan is lovely for sure. When I was still teaching, I used to walk on my lunch hour and discover the most fascinating yard decorations and especially a butterfly bush teeming with butterflies and bees.